Le Primitif Galleries’ steel oil drum art is one of Haiti’s most unique art forms. Steel drums that were once used for transporting oil are turned into magnificent works of art. 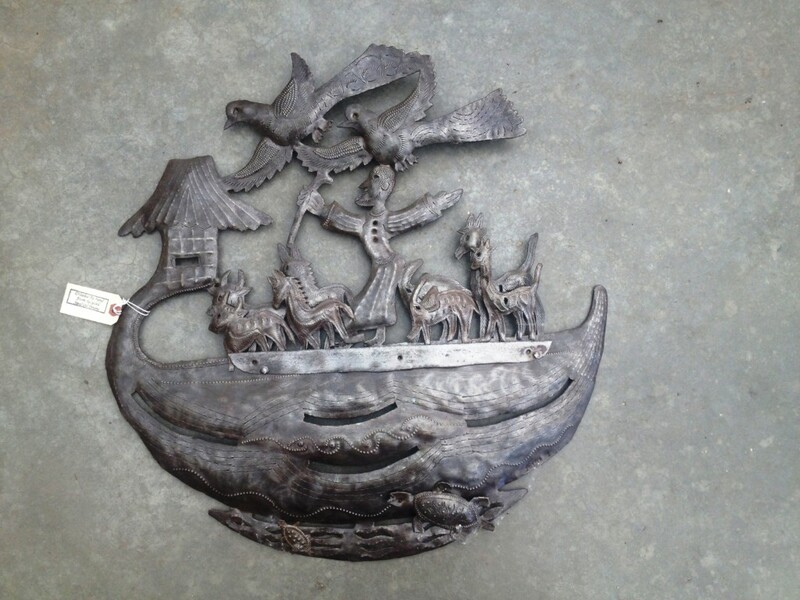 The art form began in Haiti in the late 1950’s with a blacksmith named Georges Liataud, and many talented Haitian artists have followed in his footsteps. Haitian oil drum artwork is currently on display in such prestigious institutions as the Museums of Modern Art in New York and Paris. The round ends of the 55-gallon oil drum are removed and the oil drum is set on fire to remove any paint or left over residue. After the drum cools, it is cut in half and the artist or an assistant uses all their body weight to flatten out the drum. This becomes the artist’s canvas. 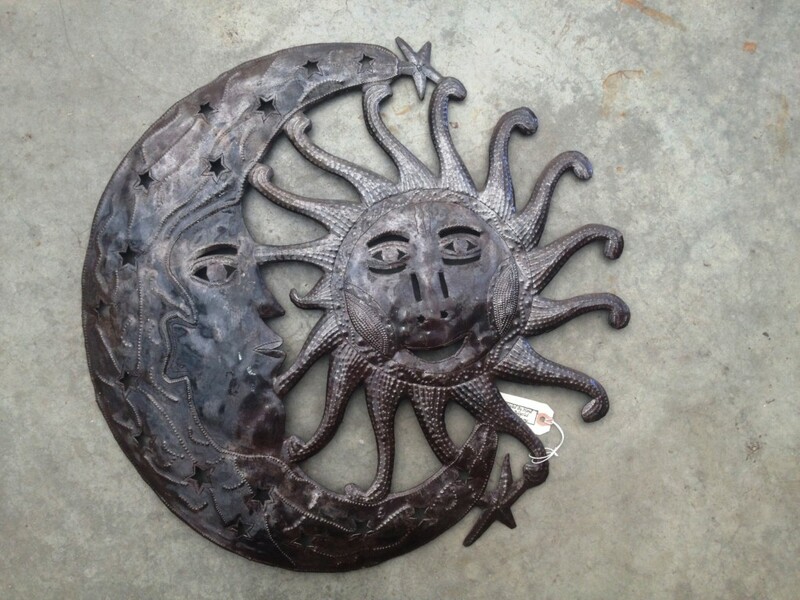 Next, the suns, moons, trees and other intricate designs are chalked out and cut out using a hammer, chisel and a nail. It is a labor intensive project which results in beautiful, unique art. No two pieces are the same. Le Primitif Galleries provides “prosperity wages,” insuring that talented artists in Haiti are paid fairly so that they may continue to work and create these beautiful pieces. Knapp Valley Gardens is proud to feature these striking sculptures that would add a whimsical touch to your home or garden. When you visit the Knapp Valley Garden Center, be sure to take time to admire the steel oil drum art from Le Primitif Galleries.